WOW has partnered with Carbonite to keep personal computers and businesses secure and running smoothly. Whether it’s computer protection, server backup or both, you can easily find the solution that meets your needs. WOW will help you integrate Carbonite into your home or business. 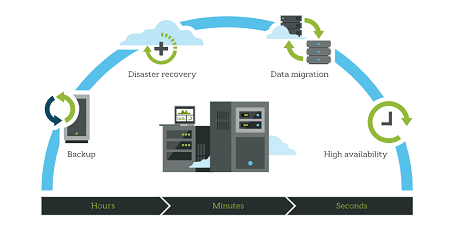 Carbonite was founded as a solution to a growing data backup problem. Started in 2005, the founders wanted to provide an easy and affordable way to back up files online? Originally focused on homes and small business users, Carbonite now protects data for more than 1.5 million customers, securing over 700 Billion files worldwide. Carbonite runs quietly in the background while you are working on your computer. It encrypts and then securely uploads your files to the Carbonite servers without interfering with your computer activity. It uses VSS (Volume Shadowcopy Service) to make copies of open files. If the backup is interrupted, it will resume at the file it left off on when it was last powered on and connected to the Internet. Carbonite backs up entire files one time. After the first full backup of a file, only the changes to that file will be uploaded. When a file is changed, Carbonite backs up the change within 24 hours. Carbonite does not make duplicates of files on your computer or system. It does not store information on your computer only the backup program files. When viewing these plans, you will be redirected to WOW’s partner reseller page on the Carbonite website. For questions or assistance with Carbonite, please contact their U.S. based technical support professionals 7 days a week. Ask WOW questions about becoming a Carbonite customer.